Bitcoin has enjoyed growing popularity in recent years. This is why Alza has met numerous customer requests and introduces the ability to pay for purchases with this most popular virtual currency. Want to know more? The introduction of Bitcoin payments is a significant innovation step. The format of the press release has limited space, so we extended it with some of the most important questions that relate to the topic. Jan Sadílek, Head of the Internet Marketing Department, answered for Alza. Why did you decide to introduce Bitcoin payments? Why were your customers so interested in Bitcoin? It is an increasingly popular way to pay for products and services. We have received numerous questions and suggestions regarding this issue for quite a long time, and the interest just kept rising along with the growth of the Bitcoin value. So we began thinking about introducing it. 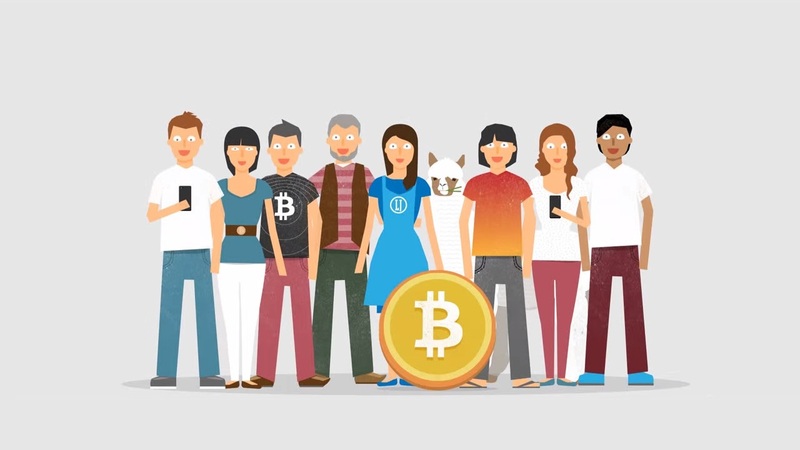 How do your customers benefit from paying in Bitcoin? First, this payment method is not that different from other online payment methods when it comes to speed and simplicity. Unlike those, however, bitcoin allows you to pay online even if you do not have a bank account or a credit card. This is an important factor that many people really appreciate. Why did you decide on Bitcoin in particular and not another type of cryptocurrency? Bitcoin payments currently account for more than 90 percent of all cryptocurrency transactions. That said, we are also making preparations for accepting other types of cryptocurrency, such as Litecoin, Ethereum, Dash and others. Is Bitcoin-based trade compliant with EU legislation? Yes, Bitcoin transactions meet the EU legislative requirements. We have introduced the virtual currency option because of the demand from our customers, and we believe this type of payment will only become more popular in the future. How about Bitcoin and taxes? Bitcoin is simply, another way to pay for products, so the tax system remains the same as with any other type of payment. All payments are processed via the Bitcoinpay.com payment gateway, operated by British Confirmo Ltd, a British-based company with considerable experience with Bitcoin transactions. Where does one obtain Bitcoin? There are many ways to obtain them. One of the easiest is to use a Bitcoin ATM, which enables you to purchase and redeem bitcoin for crowns or euros. One such ATM is located in our showroom in Holešovice, Prague and another in our Bratislava showroom. Our ATMs are operated by GENERAL BYTES sro, a leading company in the field. What other companies accept Bitcoin? From the large ones, we could name Microsoft, Dell, T-Mobile Poland, WordPress, or Wikipedia. And of course, there is a huge number of smaller merchants who have embraced this technology as well. Do you accept Bitcoin payments abroad? Yes, we accept Bitcoin payments on alza.sk , alza.de , alza.at and alza.co.uk and alzashop.com. Can your customers save money by paying in Bitcoin? Alza confirms that it is not afraid to set trends. Bitcoin are now being accepted not only in Alza.cz, but also Alza.sk, Alza.de, Alza.at, Alza.co.uk and Alzashop.com. Payment via Bitcoin is more convenient and faster. Our partner company running the payment gateway for BTC payments will be Bitcoinpay. Be warned. Bitcoin is just the beginning, soon you'll be able to pay in Alza with other cryptographic currencies, such as Litecoin or Ethereum. The impetuous development of the Internet has brought, among other things, a new concept, namely virtual money. Their potential has been overlooked for a long time. The traditional focus of their application lies in online games where they are used to trade game items. However, the virtual currencies used in digital services and Internet communities are becoming increasingly important. The term "cryptocurrency" is a specific subset of virtual currencies. The first such currency was Bitcoin in 2009. Why is Bitcoin so popular? Among other things, Bitcoin is a so-called deflationary currency. The amount of Bitcoin is predetermined, so the central bank (or other entity) can not devalue the currency by creating (or emitting) additional money. Bitcoin's growth is transparent - users are "using" computers. It is said that all "coins" will be minted in 2140. You can also benefit from downloading the relevant software. Besides having the possibility to pay for your goods by transfer, Alza also introduces BTC ATM. It is basically Bitcoin's "currency exchange". Here you can buy or sell Bitcoin according to the current price. These are then credited to your wallet. You can apply this "credit" to purchases in any of our stores, not just in this Country. Alternatively, you can keep your Bitcoins as an investment for the future and bet on future increases in their value. Alza also offers new hardware, the TREZOR wallet. It serves as a safe storage unit for your bitcoin. Its main plus is the absolute protection against theft of your bitcoin account. Bitcoins are physically stored in an encrypted vault, so they can not be remotely infiltrated.